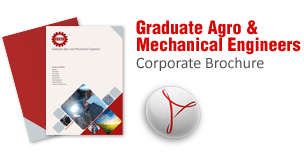 Graduate Agro and Mechanical Engineers (GAME) is engaged in catering the needs of major industrial sectors like Steel Plant, Indian Railways, Power Plants, Cement Plants, Chemical Plants, Sugar Plants, Aluminum & Copper Plants, Fertilizers, Transmission and Mining etc. GAME is one of leading manufacturing unit with a vast experience in the field of Engineering Technology from concept to commissioning of various capital and critical mechanical equipments. We have been associated directly with almost all the reputed Steel Plants in the country. Because of tenacity for development, we have developed, manufactured and commissioned several critical capital equipments. Our objective of customer satisfaction, through innovation and Effective Quantity Management System, is a continuous process. We ensure Quality as the hallmark of every process and activity. Our efforts in the field of Quality Management have been well recognized by Quality Circle Forum of India and Zenity Quality Asseccors Pvt. Ltd. It is worth mentioning that our proximity with Bhilai Steel Plants (BSP) has helped us by easy accessibility of semi-finished & finished products of BSP for our various activities & commitments. Be a Pioneer in developing solutions in Technology, Process and Product. Achieve technical excellence with Quality, Safety & Environment as controlling parameters.